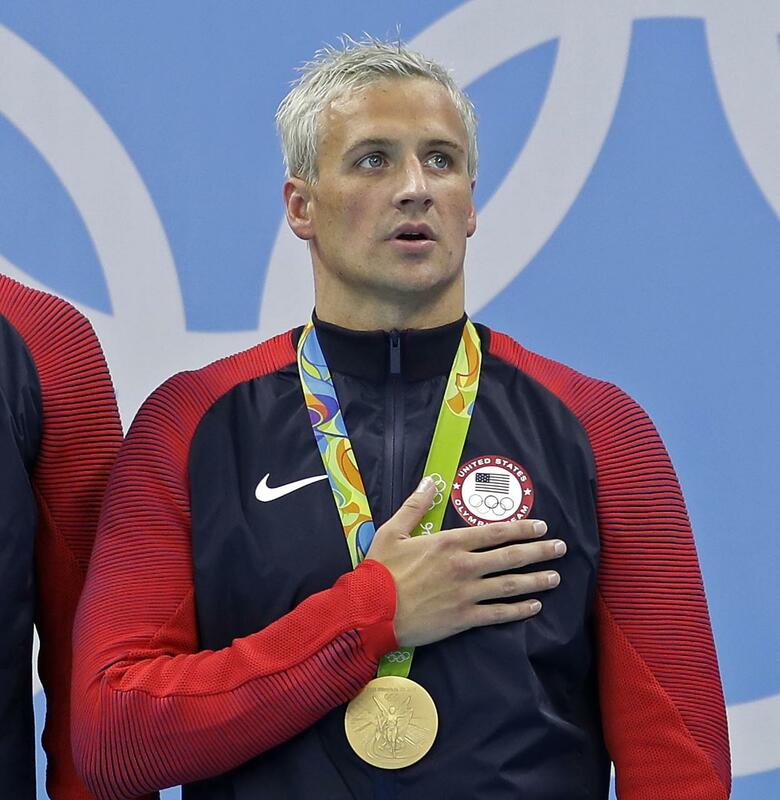 Thu., Sept. 8, 2016, 12:57 p.m.
Ryan Lochte will forfeit $100,000 and a chance to swim at next year’s world championships as part of the penalty for his drunken encounter at a gas station in Brazil during last month’s Olympics. The U.S. Olympic Committee and USA Swimming announced the penalties Thursday. Lochte is banned through the end of June. That means he won’t be able to qualify for July’s world championships, which normally don’t draw top fields in the year after the Olympics. Bentz, 20, will also serve 10 hours of community service for violating a curfew rule for athletes under 21. He released a statement on Twitter saying he’d learned his lesson and was anxious to move on. Swimming’s international federation, FINA, called the sanctions “proportionate, adequate and sufficient,” and said it had no plans to augment them. The International Olympic Committee has referred the case to its ethics commission, which is still reviewing the case. While the near-10-month suspension is four months longer than what Michael Phelps received in 2014 for his second DUI, anything short of a ban from the next Olympics – never a realistic option – isn’t enough to truly derail Lochte’s career, either in or out of the pool. Last month, Brazilian police charged Lochte with filing a false robbery report, but he is unlikely to return to Brazil to defend himself. Lochte’s gold in the 4x200 freestyle relay was one of 121 overall medals the United States won at the Olympics, yet his actions at the gas station, combined with his shifting stories and the resulting investigation, overshadowed a large portion of the second half of the Rio Games. Adds statement from Bentz. With AP Photos. Published: Sept. 8, 2016, 12:57 p.m.